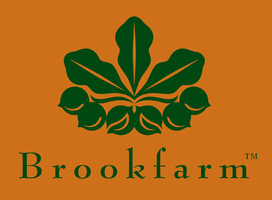 Brookfarm is looking for an SEO Manager. If you meet the requirements below, you will be eligible to apply via Digital Marketing Community. Create and implement social media strategy through competitive research, platform determination, benchmarking, messaging and audience identification. Generate, edit, publish and share content that builds meaningful connections with consumers on a daily basis. Optimize company pages within each social media platform to increase the visibility of company’s social content. Keep improving social media profile by capturing and analyzing the appropriate social data/metrics, insights and best practices providing a strategic response to the business. Manage relationship with external graphic designers as required. Manage Brookfarm website CMS and e-commerce platform. Extensive experience with website CMS management (WordPress) is preferred. Advanced understanding of producing an SEO friendly and optimized content. Effective knowledge of using graphic design software to edit images such as (Adobe suite). Proficient experience with video editing using (Final Cut Pro). Strong understanding of using (MS Office). Excellent written and verbal communication skills in (English). Ability to manage multi-tasks simultaneously to meet deadlines successfully. Solid interpersonal and presentation skills. Brookfarm is Australia’s leading producer of premium quality Macadamia products and was founded in 1999 by Pam and Martin Brook. The Brookfarm story is all about the creation of great tasting healthy food.